*Rudiments is not applicable for the award. 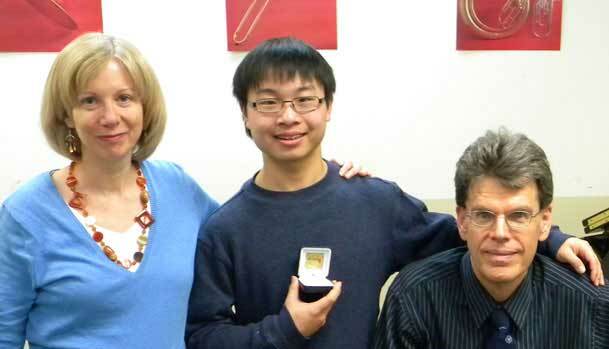 Eric Tan with his theory teachers, Lynn & Peter Ware, won the RCMusic National Gold Medal in Music Theory. The Medal is Awarded for the highest theory average in Canada in the year in which they complete their ARCT in performance. Eric Tan began piano lessons at age seven. He has performed as a soloist in the Glenn Gould Studio, Roy Thompson Hall, Gilles-Lefebvre Hall, Newmarket Theatre, and as a soloist and chamber musician in many other venues. Eric played a six-city solo concert tour as the ORMTA Young Artist of the Year. With the Yamaha Canada Award and Ester Su Memorial Award (ORMTA Provincial Competition) in hand, Eric took 1st place in the CMC National Finals in the 16 and under category. 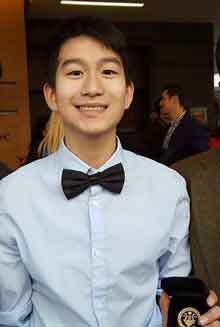 Additionally, he received the David Ouchterlony Memorial Award for the “Most Promising Piano Student” from the GTA Kiwanis Music Festival. 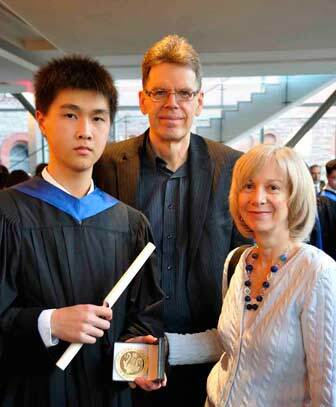 He won “Best of Class” in the Senior-Open Beethoven Sonata class at the GTA Kiwanis Music Festival and 2nd Prize and the Willard Schultz prize at Canadian Federation of Music Teachers' Association National Piano Competition. 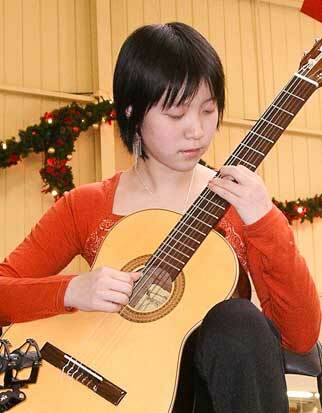 Congratulation to Jessica for winning the RCM Gold Medal in Classical Guitar 2015! Jessica received the RCMusic Gold Medal in Classical Guitar, for having the highest grade on the grade 6 Classical Guitar Exam. 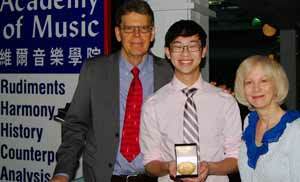 Congratulation to William for winning the RCM Gold Medal in Classical Guitar 2015! William received the RCMusic Gold Medal in Classical Guitar, for having the highest grade on the grade 7 Classical Guitar Exam. 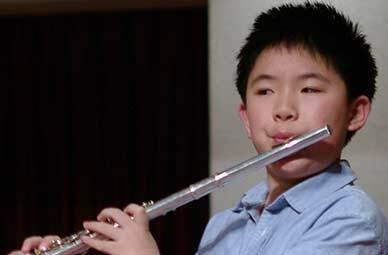 Congratulation to James Yuan for RCM Gold Medal in Flute! 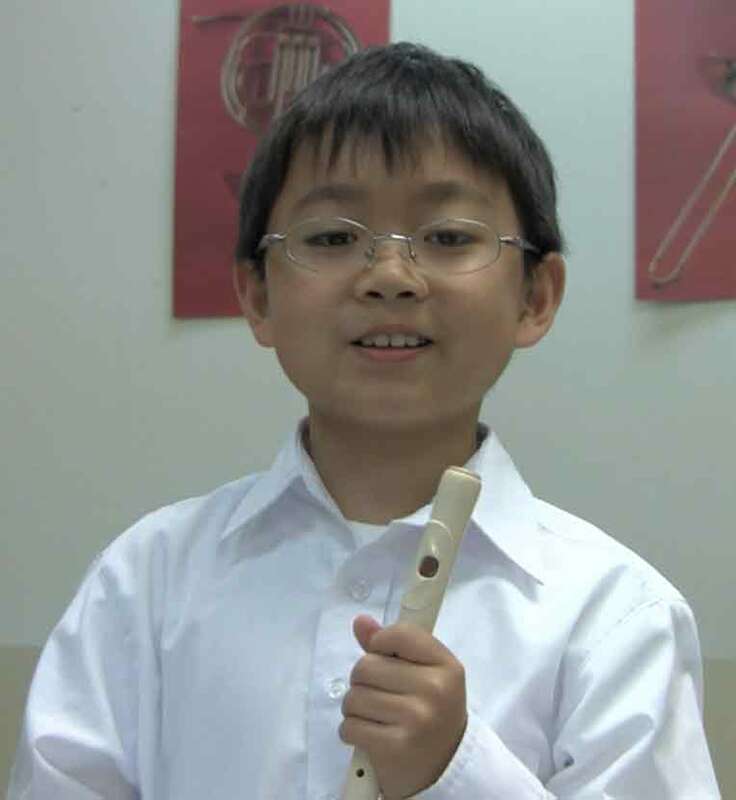 James received 95% on his RCM Grade 4 Flute Exam. The highest grade in Ontario! 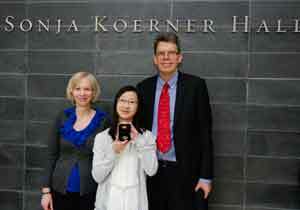 Flute Student wins First Prize and ascholarship in the National Flute Association January Competition!